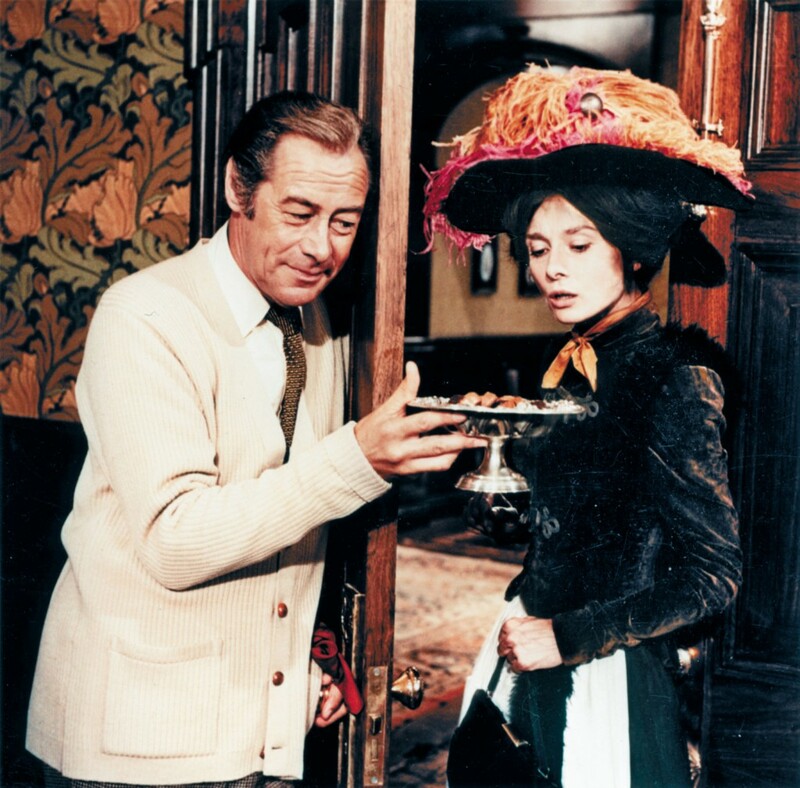 In My Fair Lady its 1912 and London linguistic expert Henry Higgins (Rex Harrison) meets cockney flower girl Eliza Doolittle (Audrey Hepburn) and is appalled by her thick accent and bad manners. He makes a bet with his friend Colonel Pickering (Wilfred Hyde-White) that he can teach her to speak so ‘properly’ that he can pass her off as a duchess at an embassy ball within six months. 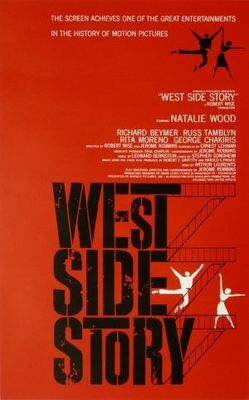 – The film was based on a musical by Loew and Lerner, who based their musical on George Bernard Shaw’s play Pygmalion. Bernard Shaw came up with the storyline in 1912 by combining the Greek myth of Pygmalion, who fell in love with one of his sculptures that came to life, with commentary on the British class system of the day and women’s independence. – Jack Warner (head of Warner Bros.) bought the film rights to My Fair Lady for 5.5 million dollars in 1962, a record in those days. It took the movie industry 12 years to break that record: when Colombia paid 9.5 million dollars in 1978 for the rights to Annie. – There was a lot of controversy surrounding the choice of Audrey Hepburn for Eliza Doolittle. Julie Andrews made the role famous on Broadway and West End and therefore many people assumed she would get the part. However, Jack Warner felt that Julie was too unknown and knew that Audrey, beloved as she was, would make My Fair Lady a sure financial success. – Many actors were considered for the part of Professor Higgins, such as Rock Hudson, Cary Grant, Peter O’Toole and George Sanders. Eventually Rex Harrison was able to persuade the producers that he was capable of translating the role he made famous on Broadway to film. – Audrey’s salary was one million dollars, making her the second actress, after Elizabeth Taylor for Cleopatra, to get that much money for one film. Coincidentally, Audrey later revealed that the part of Eliza would have been offered to Elizabeth Taylor, if she herself had turned it down. 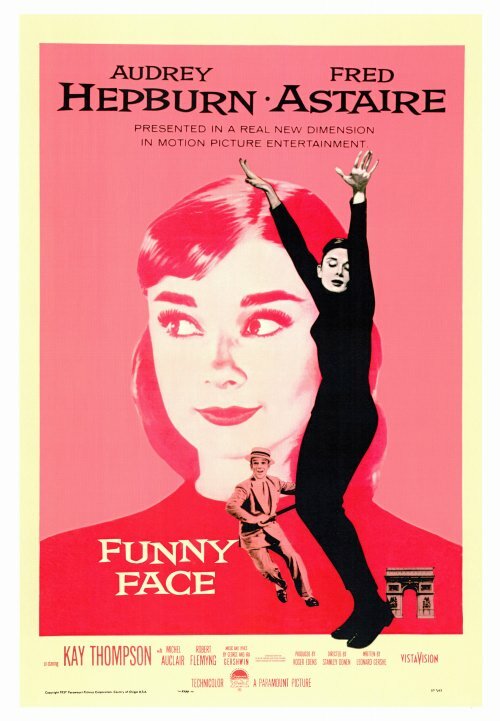 – Audrey may have played a 19-year old, but she was in fact 35. 30-year old Jeremy Brett was cast as the 20-year old Freddie, so Audrey would not seem old in comparison. 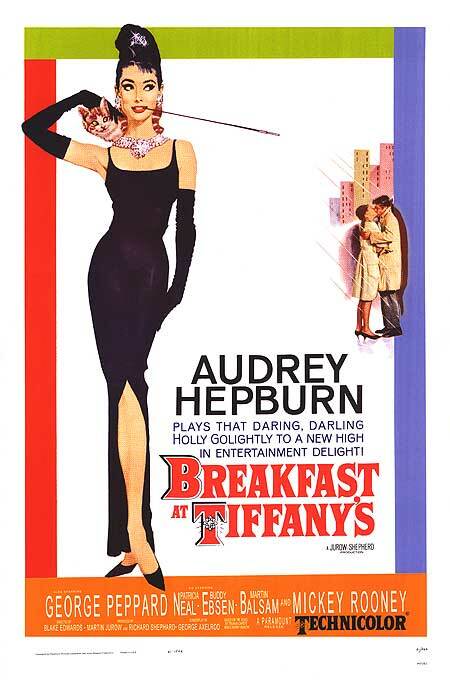 – Although Audrey did her very best to improve her singing voice and really wanted it to be heard in the film, they replaced much of her singing with Marni Nixon’s voice. Marni’s voice was also used for the vocals of Natalie Wood in West Side Story and Deborah Kerr in The King and I. Audrey later admitted she would never have agreed to do the film, had she known her singing would be dubbed. – Even though the film was a success, critics were so appalled by Julie Andrews being replaced by Audrey Hepburn, especially since she could barely sing, that it is said that this was the reason that Audrey did not get an Oscar nomination that year. The Oscar went to Julie for Mary Poppins, which was widely regarded as a form of ‘revenge’ by the Academy for not letting her play Eliza Doolittle. – The original writer of the play My Fair Lady was based on, George Bernard Shaw, adamantly opposed the ending in the stage musical and eventual film. It went against the notion of female independence which was so important in his original play. – My Fair Lady is one of the only stage musicals to have been filmed totally complete, with no omission of any songs or dialogue from the stage version. My Fair Lady is seen as one of the all-time best movie musicals. Despite the controversy surrounding her casting, Eliza Doolittle is one of Audrey Hepburn’s most recognizable roles today. According to many a movie fan, she puts the needed charm in this film. 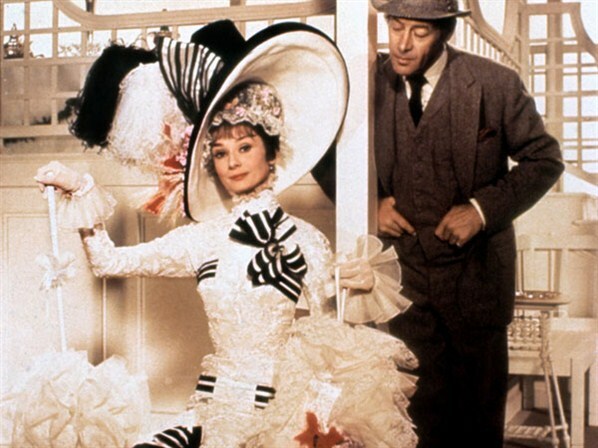 Also worth mentioning is art director Cecil Beaton, who is to thank for the beautiful styling of My Fair Lady. 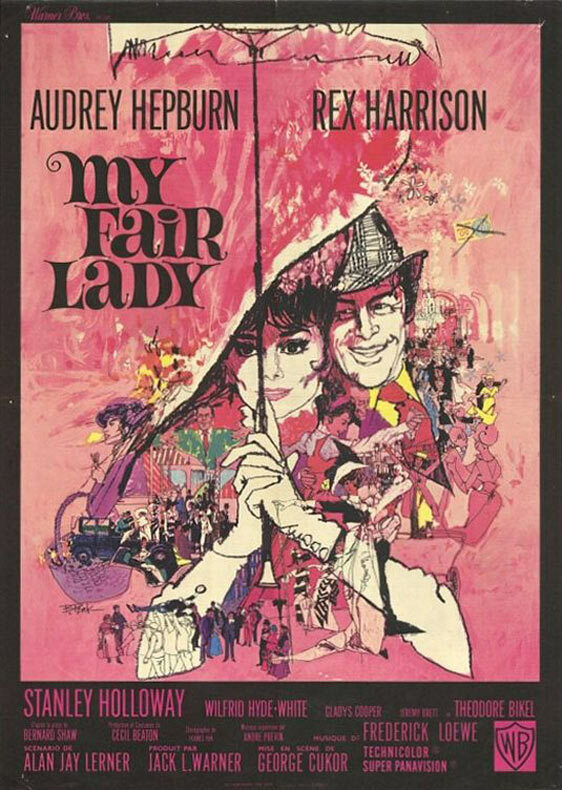 At the time of its release My Fair Lady was already met with great critical acclaim; earning ten Oscar nominations and taking home eight. Rumors of a remake have been going around for years, but nothing has materialized as of yet. Which is probably for the best, since this classic is not only of top quality, but also still loved by critics and film fanatics around the world. I can see you happen to be an expert at your field! I am launching a website soon, and your facts is going to be extremely fascinating for me.. Thanks for all your aid and wishing you all the success.